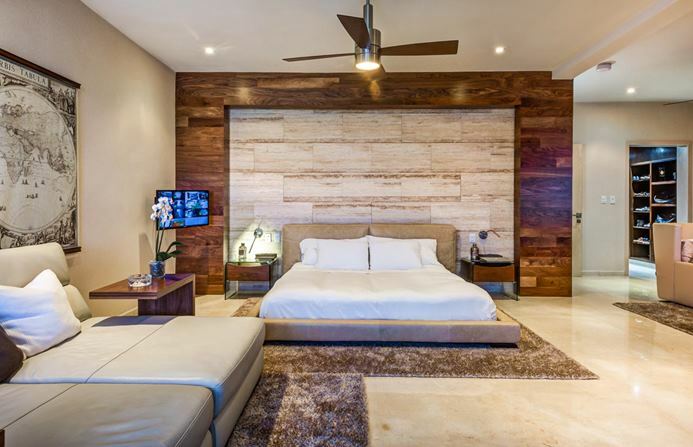 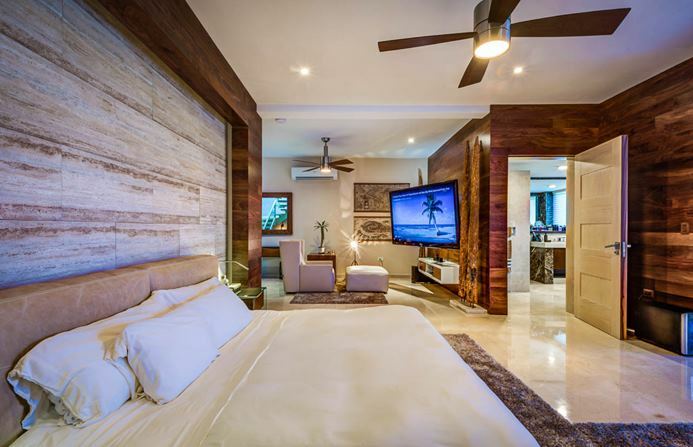 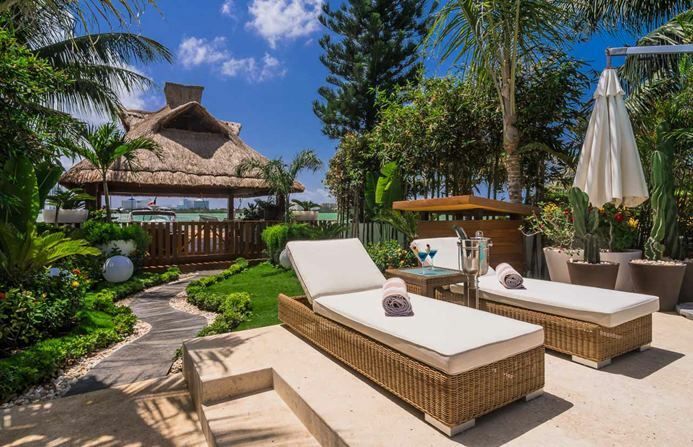 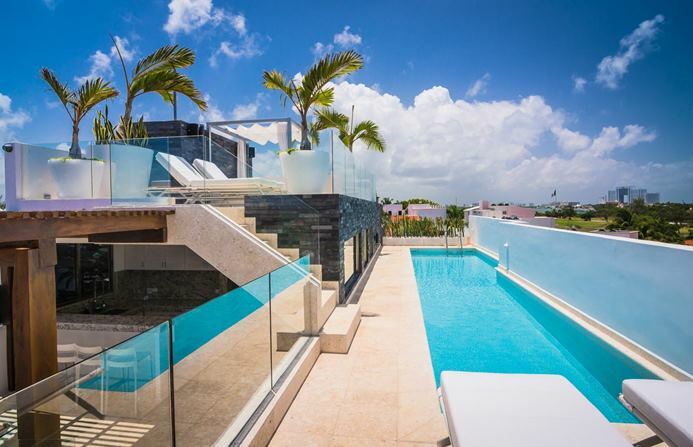 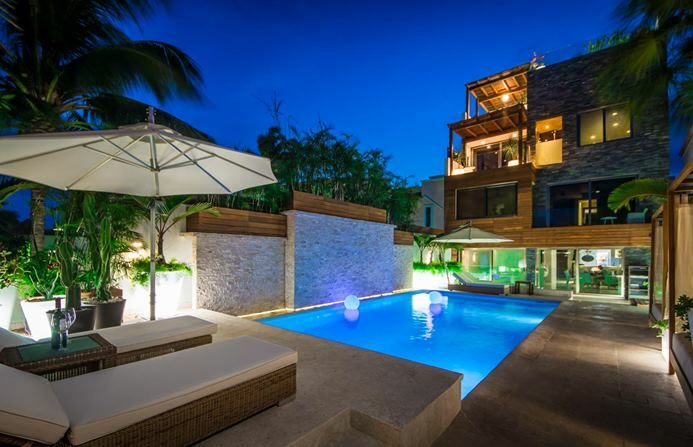 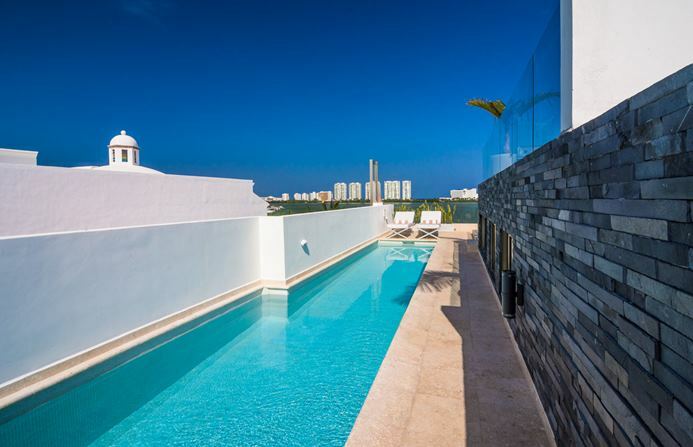 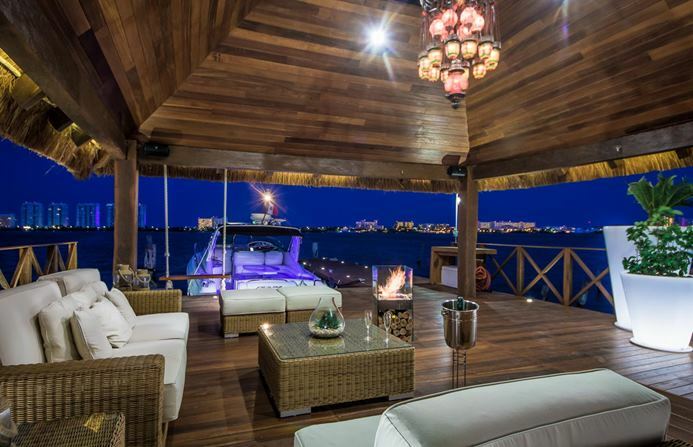 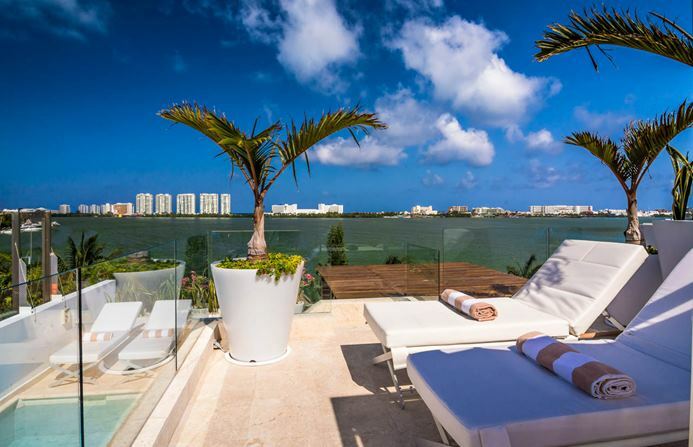 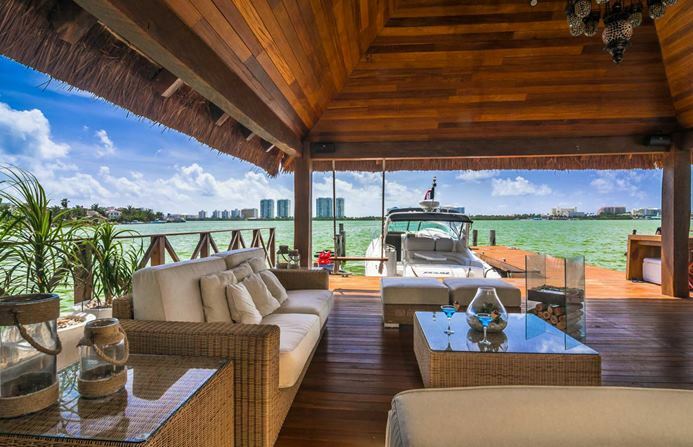 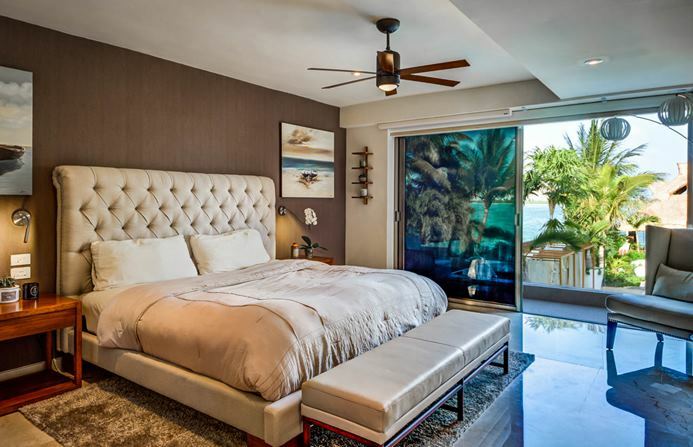 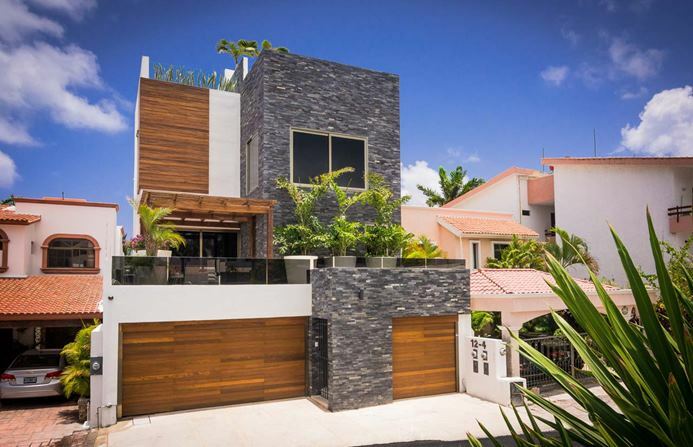 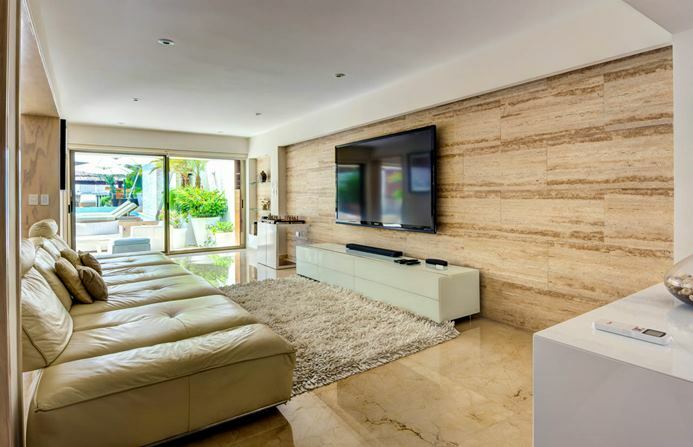 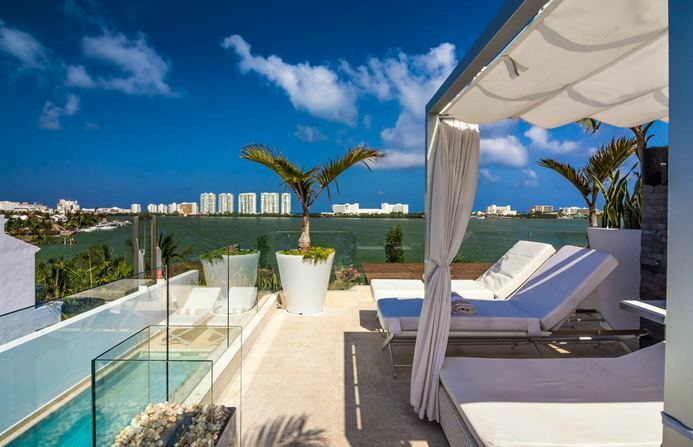 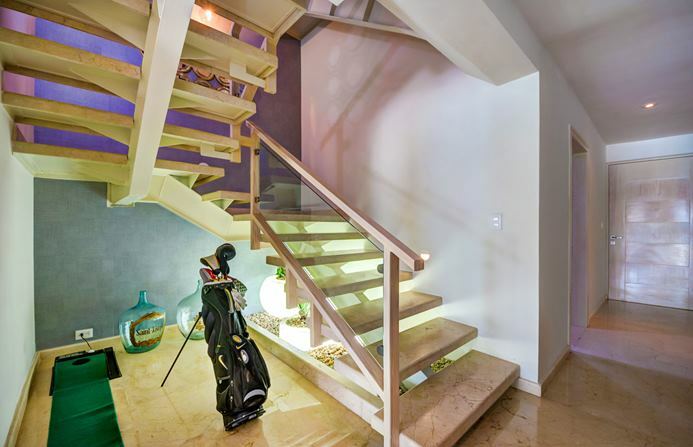 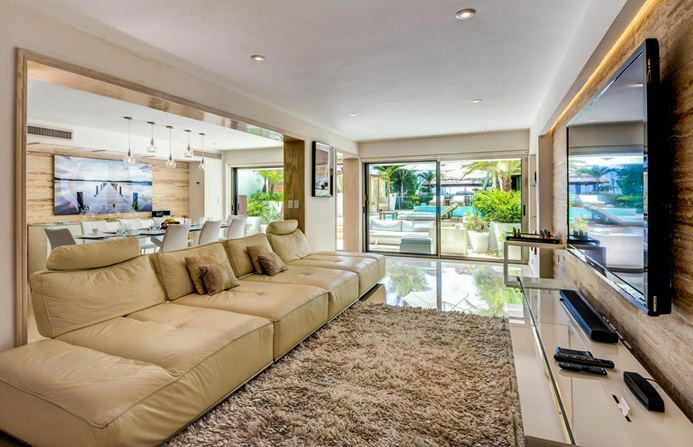 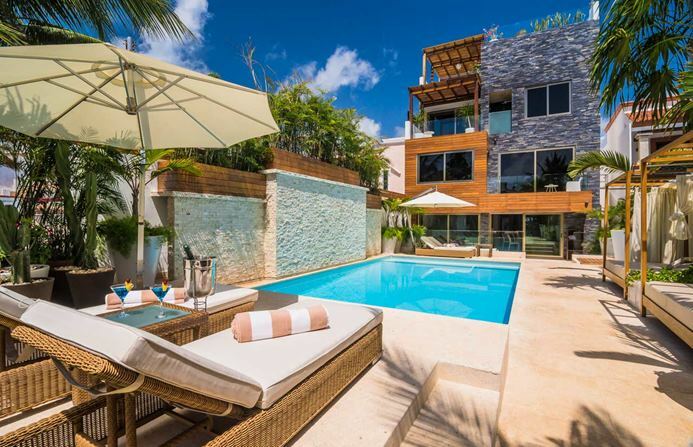 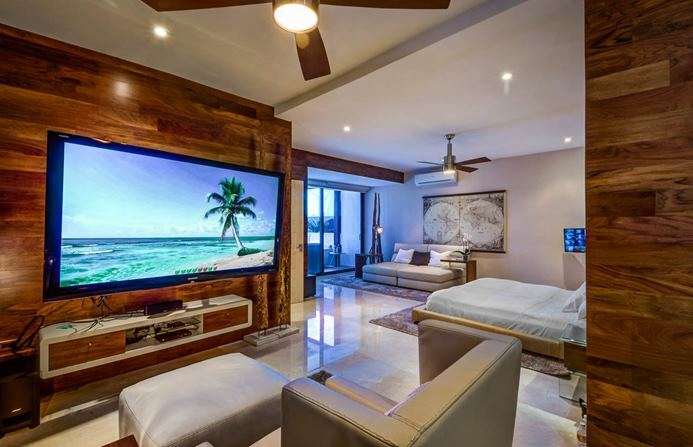 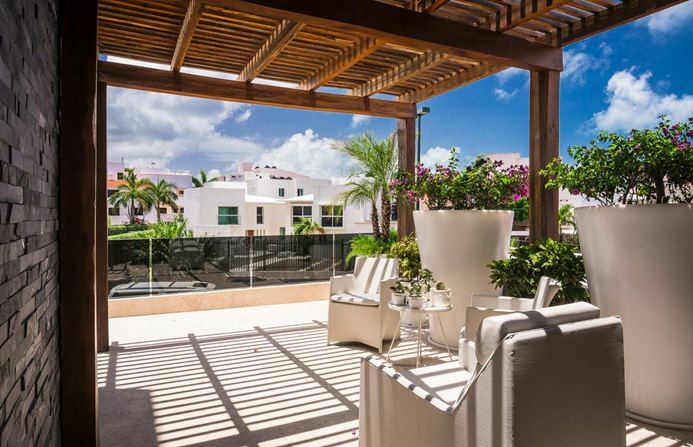 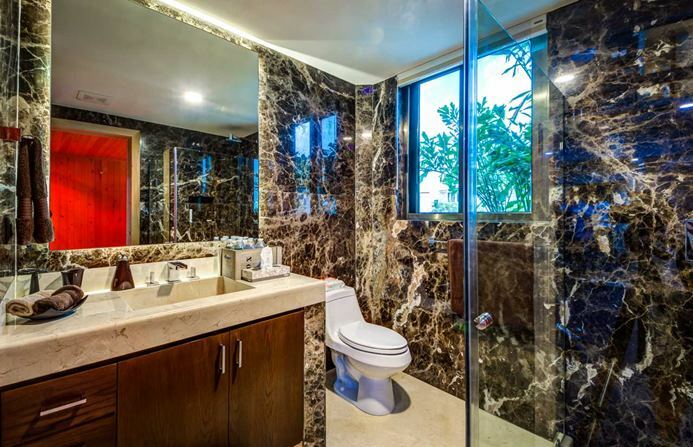 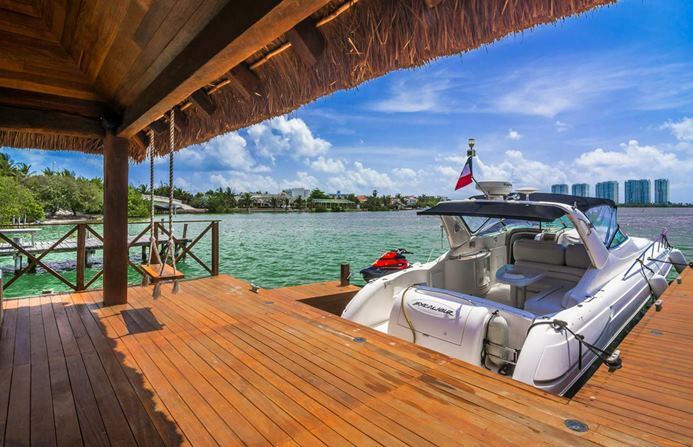 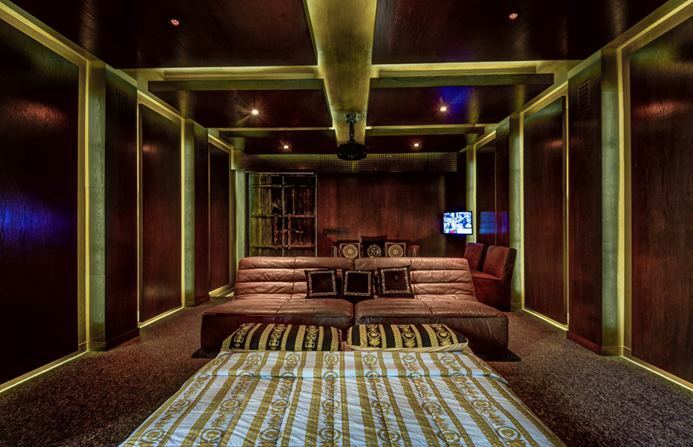 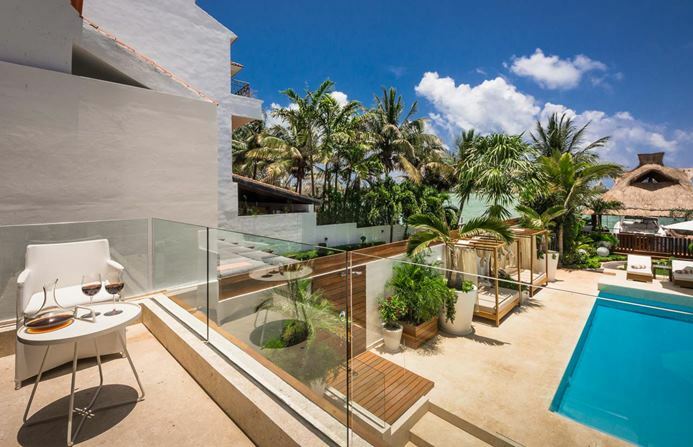 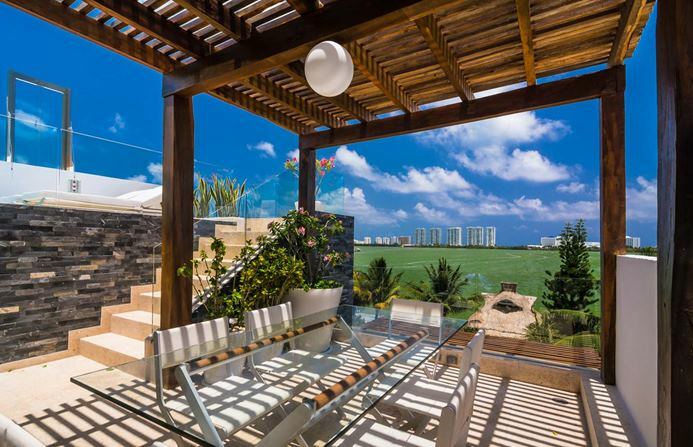 This luxurious villa looks out over the lagoon to Cancun's energetic. 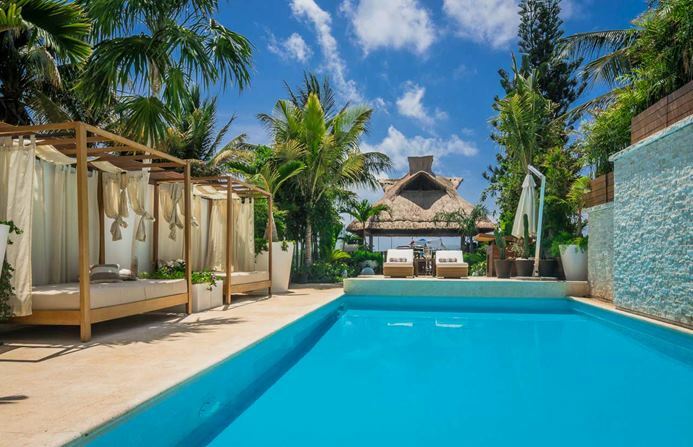 El Patron offers the perfect luxury getaway for the discerning traveler looking to take advantage of everything the region has to offer. 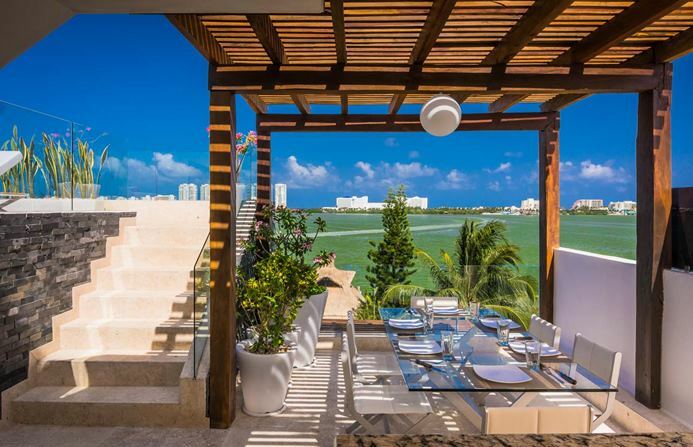 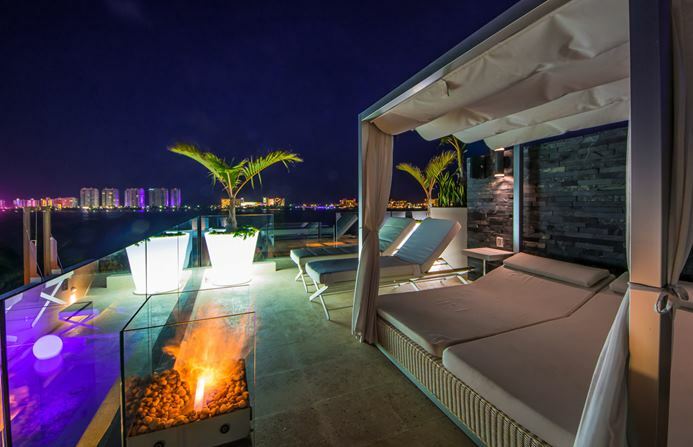 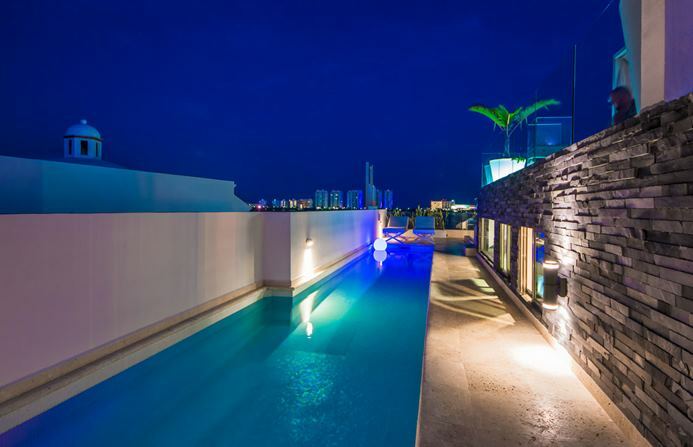 Gather with friends and family on the rooftop terrace where you can admire Cancun’s busy skyline or enjoy cocktails, prepared by your personal butler, on the lagoon jetty. 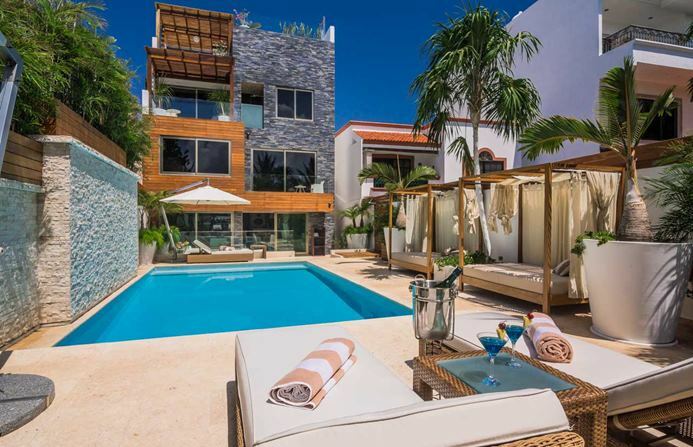 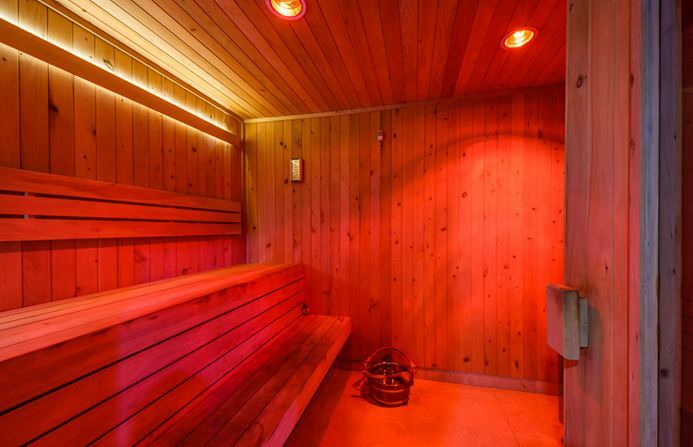 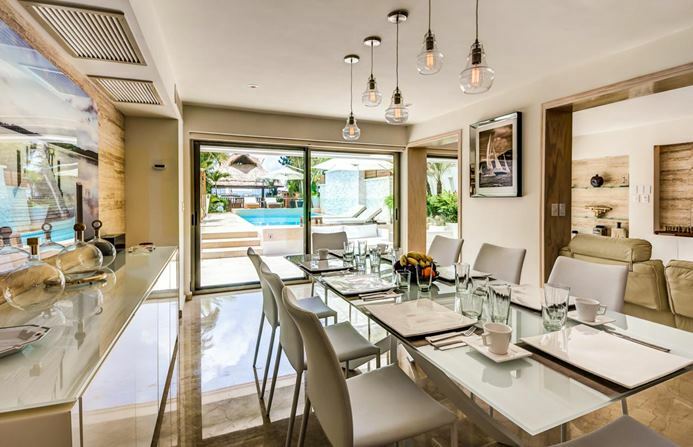 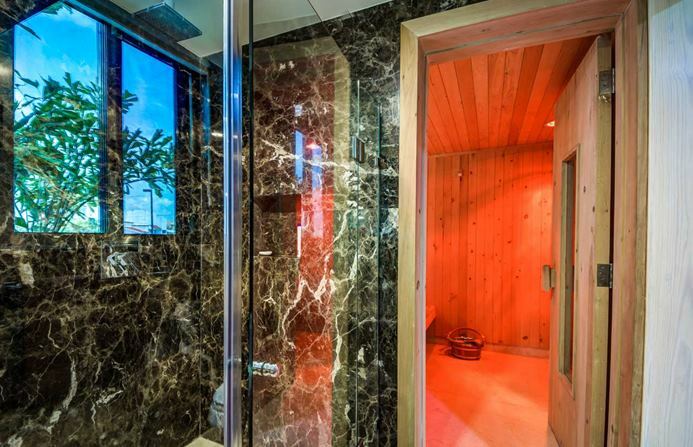 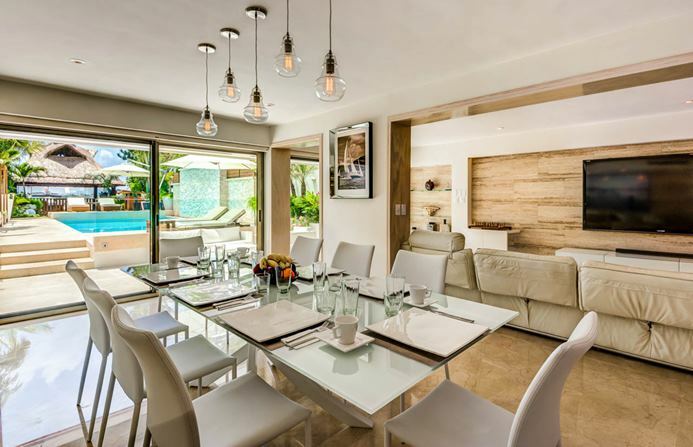 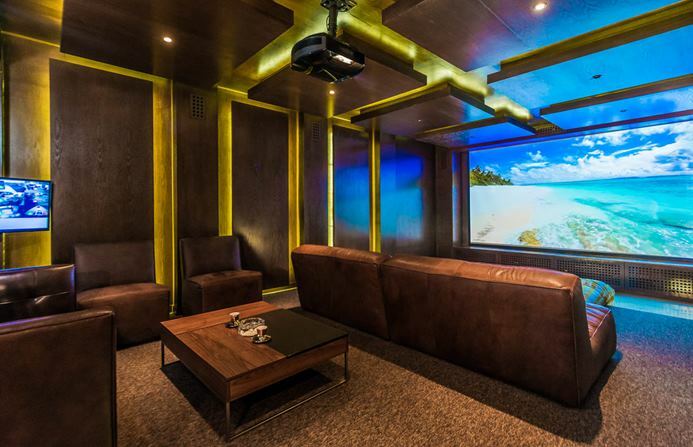 El Patron is designed for up to 12 guests, spanning across 1,000 square meters that include 2 swimming pools, sauna, home cinema and a rooftop terrace with a bar. 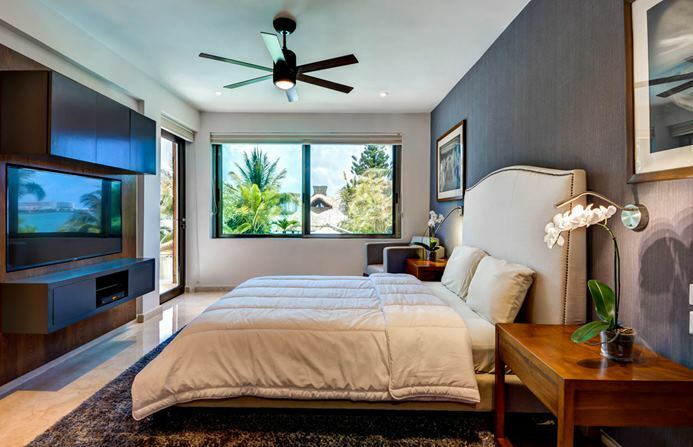 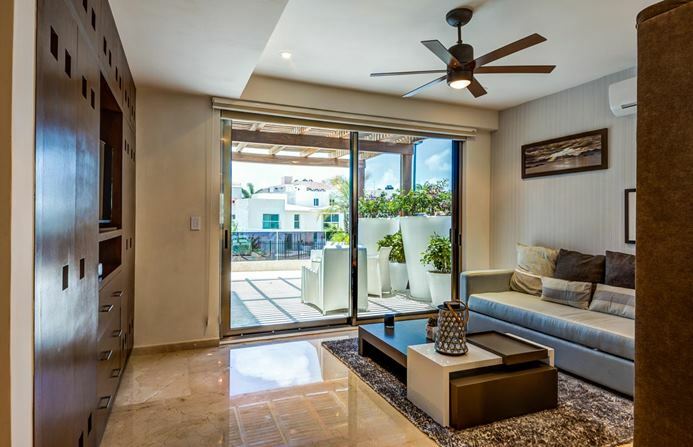 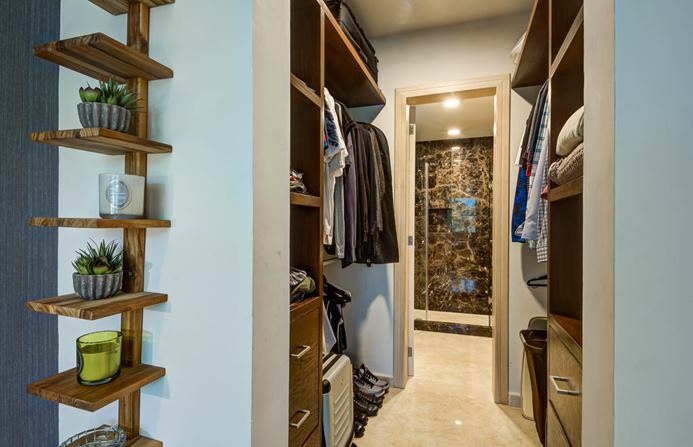 Separate bedrooms and living rooms allow for intimate gatherings, while ensuring personal space and tranquility for all. 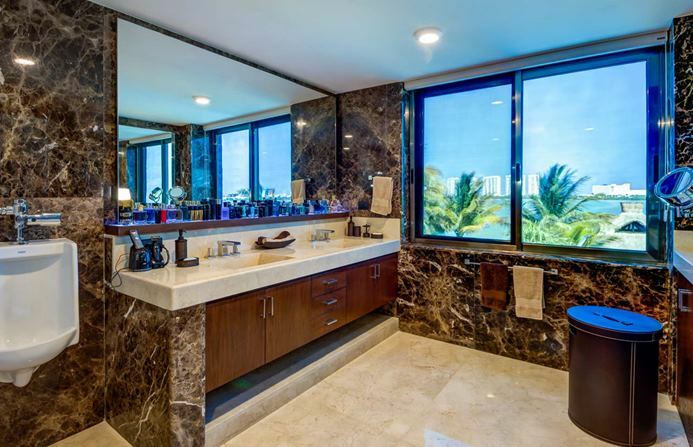 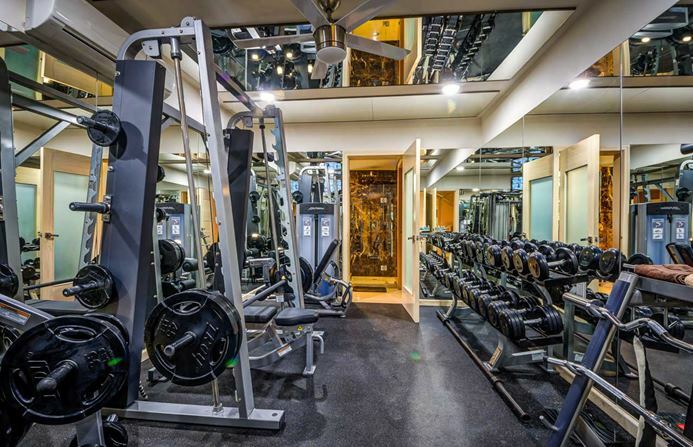 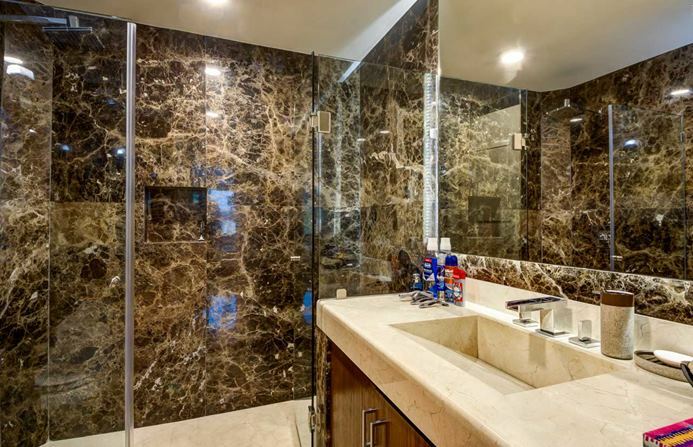 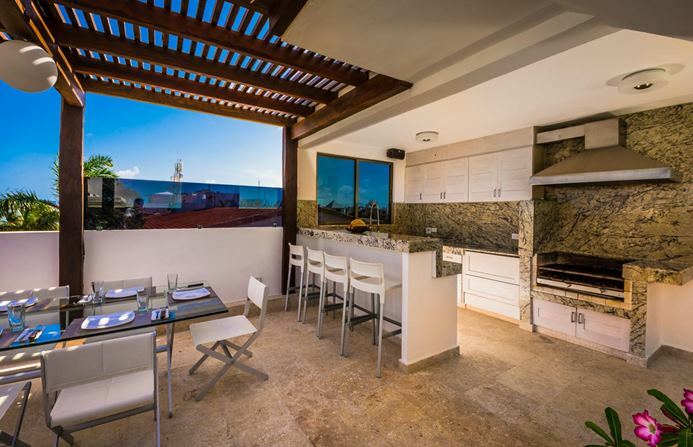 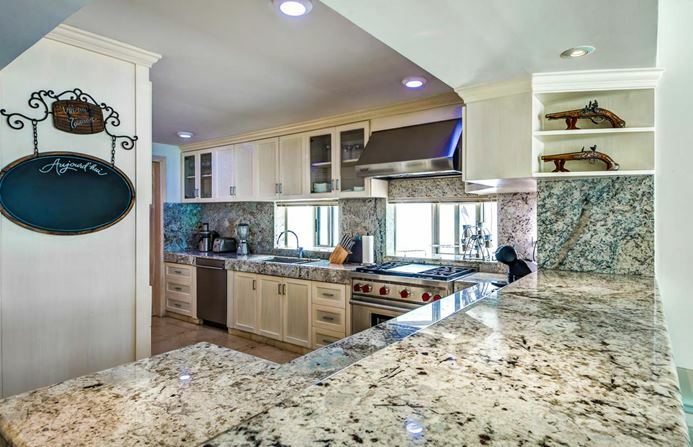 The rental also includes daily chef and butler services to make sure you are eating and drinking in style. 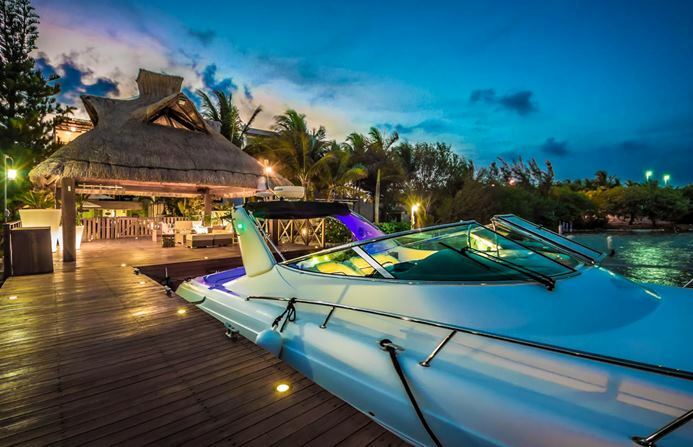 Contemplate taking your vacation to the next level with a luxury yacht rental, anchored in your own back garden (inquire for more details). 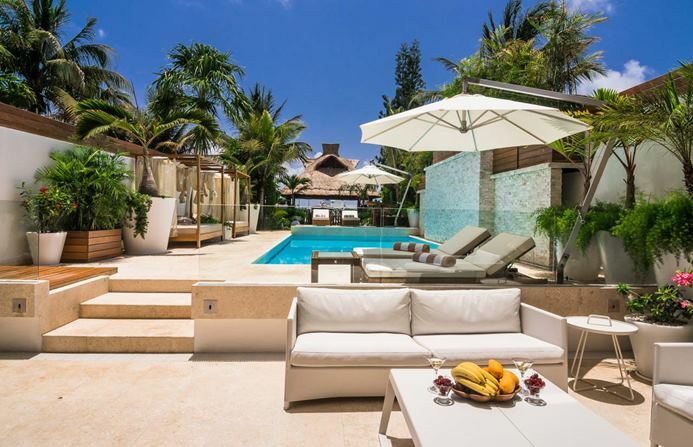 Lastly, take advantage of the villa’s great location through Maya Luxe’s private Expeditions. 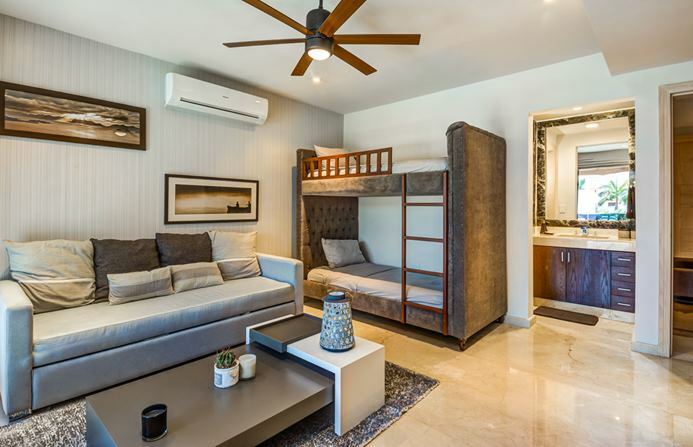 With Chichén Itzá, Ek’ Balam and Holbox just a short drive away we can show you another side to the ancient civilization that others won’t see.